Queen has just finished "Music for a Sunday Afternoon" at the Topeka and Shawnee County Public Library. The Library was one of only 10 libraries nationwide to receive a pilot program grant for its "The Big Read" event from the National Endowment of the Arts, coordinated by Arts Midwest. 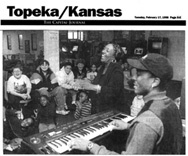 Mark Rustman from the library stated "I'm sure that the participation of Queen Bey, Kansas City's Ambassador of Jazz, and Dr. Robert Hemenway, KU's chancellor and expert on Zora Neale Hurston, were the deciding factors for our award." Another standing ovation for Queen. Another request for a repeat booking based upon ticket sales. We are pleased to announce that Queen Bey was back in Traverse City, Michigan at the Dennos Museum on March 18th reprising her 2000 debut of "Live From The Orchid Room." 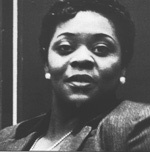 This musical reprisal of her youth backstage at The Orchid Room with Billie Holiday, Ella Fitzgerald, Sarah Vaughn and Dinah Washington received outstanding reviews and standing ovations. While in Traverse City, Queen hosted two workshops on jazz and blues for students. 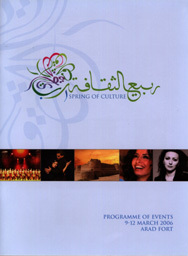 Queen just returned from Saudi Arabia where she performed a command performance for The King Of Jordan, travelling as our Ambassador of Jazz. We will be releasing a new CD, 'Live From Greece" this Summer. 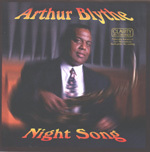 This recording - long thought to be lost - features Arthur Blythe, Brian Ambraham, Mike Hennessey and otherjazz legends. Watch our internet site for details, or send me an e-mail message and I will let you know when the CD is available. "Ninth Street", Kevin Willmott's award-winning independent film starring Queen Bey. Michael Sheen and Isaac Hayes is now available on DVD. Kevin's newest film, "Confederate States of America" is a mockumentary of The Civil War wherein the South wins and slavery is instituted in all 50 states. This much acclaimed film starring Queen Bey is sure to raise eyebrows when it debuts in New York. 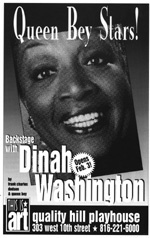 "Backstage with Dinah Washington", Queen's much-acclaimed play, which she co-authored with Frank Dobson, is available as anensemble theatre piece. The blues are hot and Queen has created a new show entitled "Bessie." 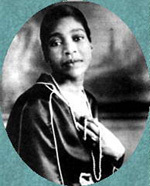 Queen is known as TheAmbassador of Jazz, but you will call her The Queen of Blues when you experience "Bessie." There has never been a better time to book Queen Bey for your event, whether it is educational or entertaining. I am enclosing this copy of Queen's CD "So This Is London." Get your dancing shoes on and call William so that we may help you produce this coming year's most noticed and rewarding event.